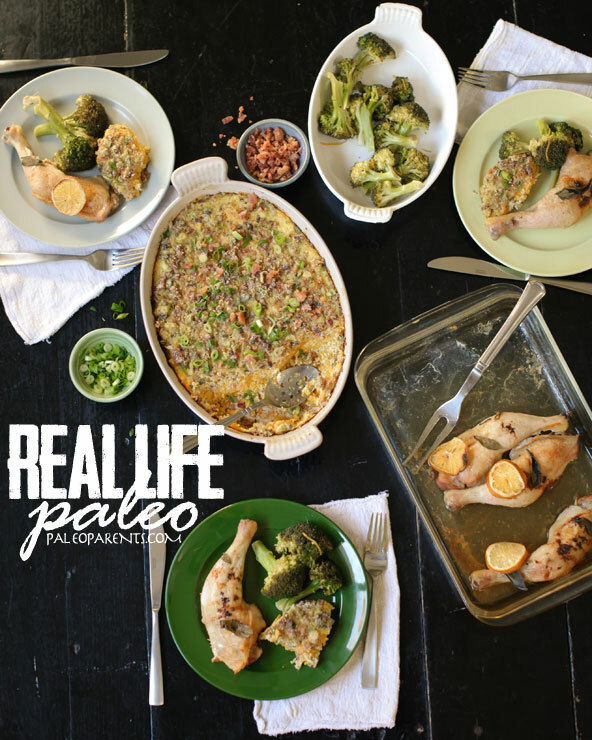 Real Life Paleo: Recipes, Meals, and Practical Tips That Follow an Easy Three-Phased Approach to Health arrived in bookstores on November 4, 2014! 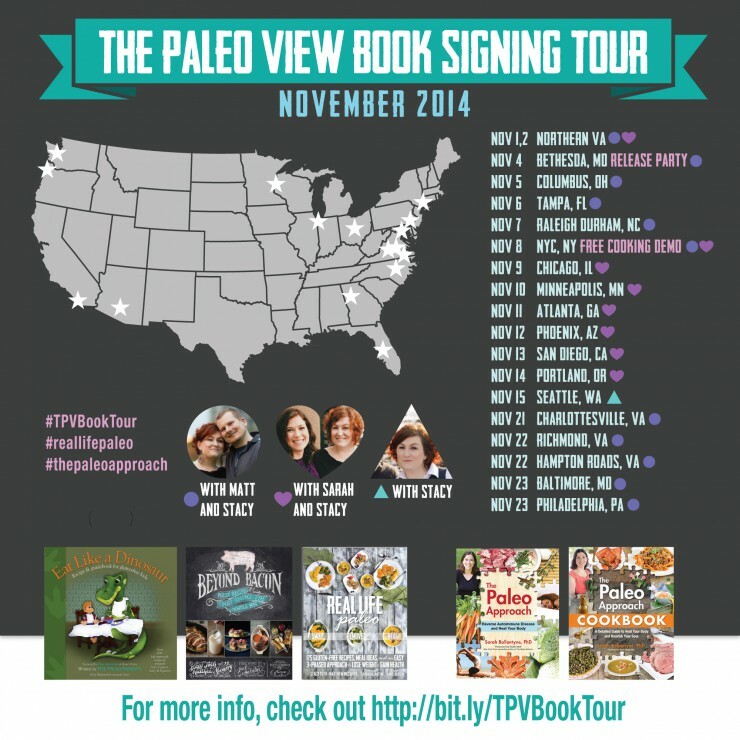 Don’t miss our EPIC US BOOK TOUR in November 2014, more info here. 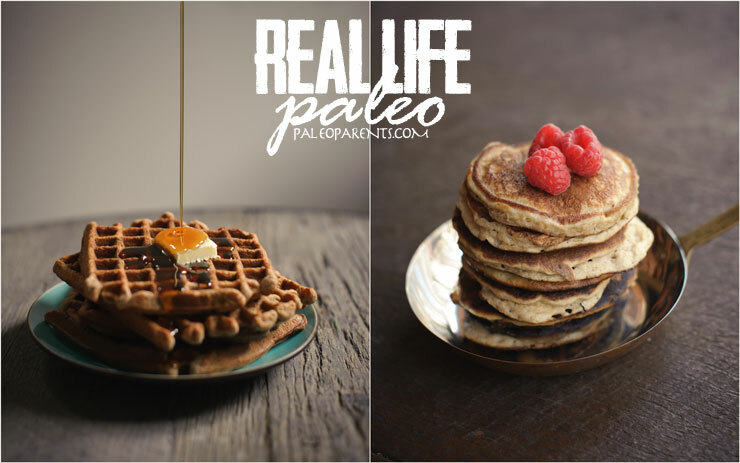 What is Real Life Paleo about? We’ve been living a paleo lifestyle for almost 4 years now. We’ve completely transformed our health, as a family. Through the process we’ve not only achieved our own health successes, but we’ve also coached thousands of others on how to do the same. We have a specific approach and philosophy on how to make this work for each and every person living within budgets, time constraints and other real life factors. We first laid this approach out in our wildly popular eBook, 3 Phase Paleo. 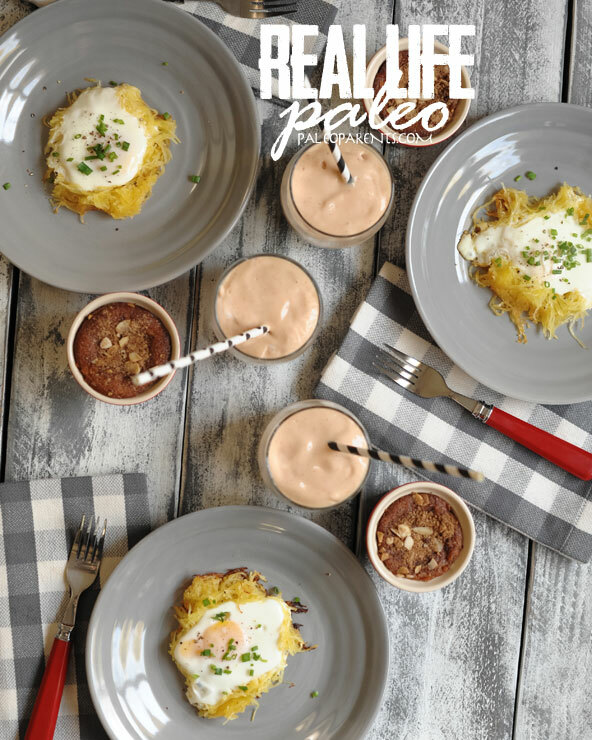 The feedback on 3 Phase Paleo was that readers loved the phased approach, guides and wanted more; they wanted a printed version with even more information and recipes that could apply to single individuals or families alike. 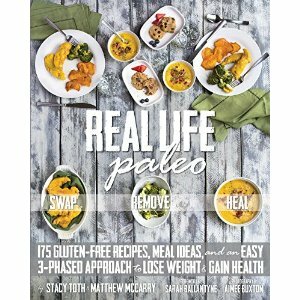 That’s where Real Life Paleo: Recipes, Meals, and Practical Tips That Follow an Easy Three-Phased Approach to Health comes in! 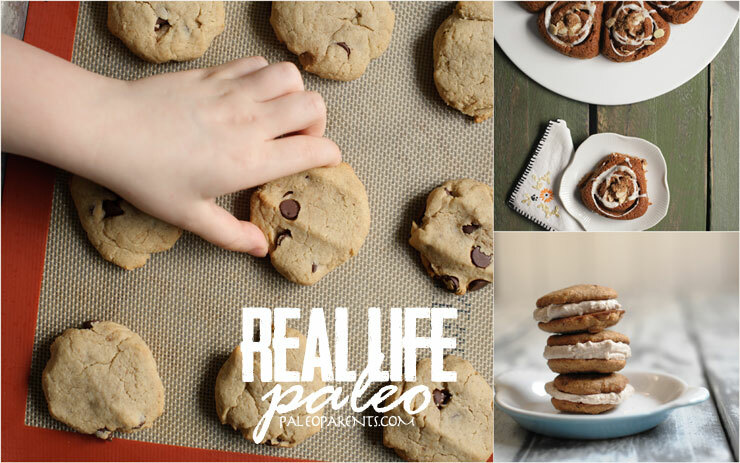 Real Life Paleo takes a practical approach to going Paleo with three simple steps we used to lose a combined 200 pounds and improve the health of our whole family. The “Swap, Remove, Heal” method is easy for anyone to follow, no matter where you are in your journey. In these phases Real Life Paleo will Swap out old favorite foods with healthier versions in order to replace the biggest offenders in the standard diet, then Remove focuses on removing the remaining foods not included within Paleo, and when you are ready Heal focuses on adding the most nutrient-dense foods and lifestyle factors to achieve optimum health – all at your own pace to ensure success and sustainability within your own busy, real life. This how-to guide and cookbook is divided into 3 Sections: Getting Started, Menu Plans and Meal Ideas, and Cookbook! In the SWAP phase, we’ll show you how to move away from the most problematic foods in a typical diet and change to foods and products that are better for you without significantly depriving you of those “comforts” that you’re used to – setting you up for long-term success! With award-winning, delicious, easy recipes as well as an all-new food swap guide and grocery shopping lists you’ll be set up for long-term success! Next, in the REMOVE phase, we’ll teach you how to move away from all those typical food paradigms and eliminate unhealthy grains, sugars, legumes and processed oils from your diet permanently. It might seem overwhelming as you read the labels on all the foods in your pantry, but our detailed guide on how to stock a paleo pantry and fill your paleo fridge will help you learn our short-cuts that have made this a sustainable life-long plan! Finally, in the HEAL phase, we add in the most nutrient-dense and healing foods. Our 150+ recipes are tagged by phases, so you can focus on phase 3 recipes that will help you easily identify the best foods to include in your meals. But HEAL is more than just food, it incorporates other lifestyle factors and recommendations to help you focus on getting your body feeling it’s absolute best! Also included are how to BE PREPARED with our Eating Out & Travel Guide as well as a HOW TO section on paleo staples like making your own spice blends, noodles, rices and more. And knowing how many of us have food intolerances, we also include a section on how to replace common allergens such as almond flour, eggs, bananas and coconut. Of course, many recipes already are egg, nut and nightshade-free! 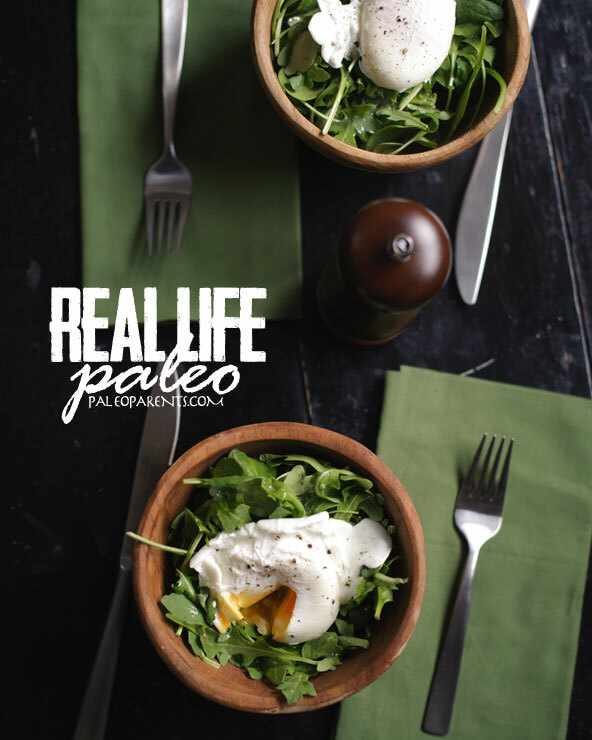 We are SO excited to provide this section of Real Life Paleo for you! 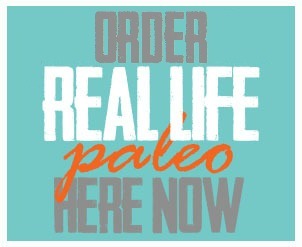 This is the first resource like this of any paleo book we’ve ever seen, and it has not been an easy feat to accomplish! 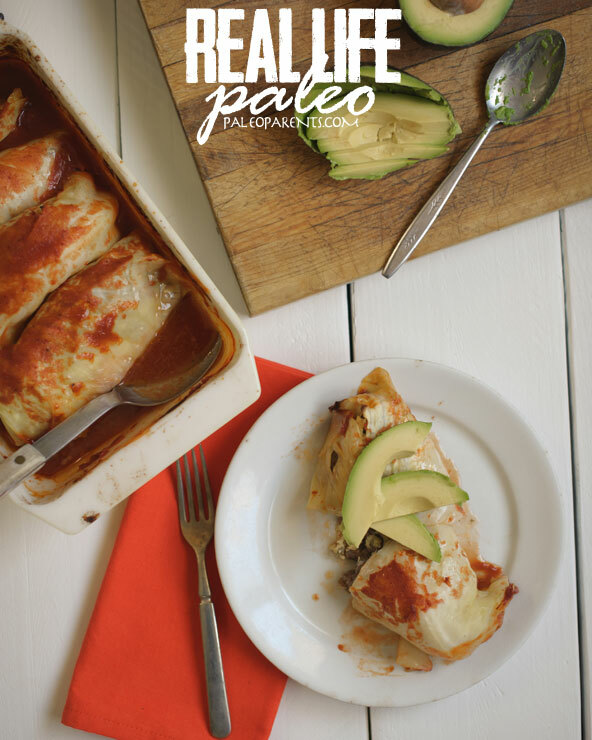 So often we are asked, “I can find paleo recipes, but how do I put meals together? !” Of course there are a ton of recipes books and blogs available that show individual recipes, but when it comes to creating a balanced meal that includes protein, vegetables and fat people become very confused on where to start. We get it, we were there too. 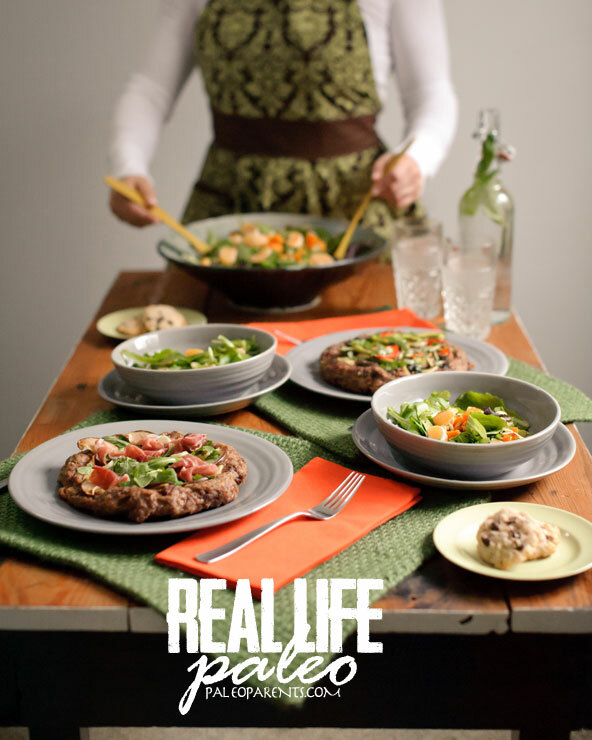 With Real Life Paleo you’ll learn the balance that works best on your own table, and learn to replace traditional foods like rice and pasta with vegetables. 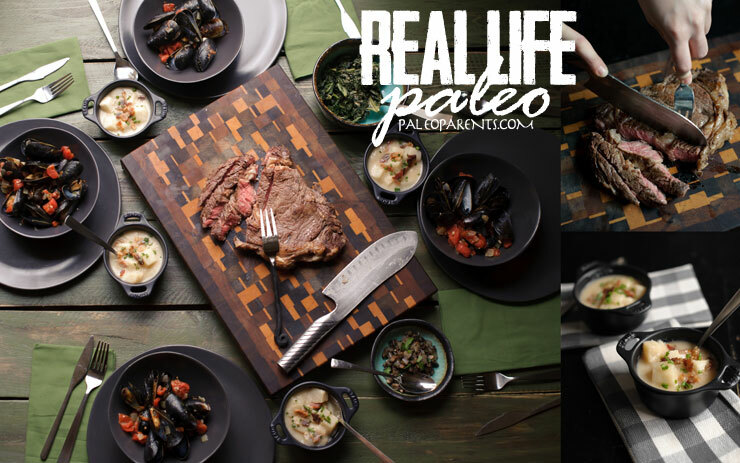 Real Life Paleo includes full table photographs and menu ideas for entire meal spreads for a normal busy Tuesday breakfast or Thursday dinner with only 30 minutes to get an entire meal on the table as well as lazy Sunday brunches and special occasions. 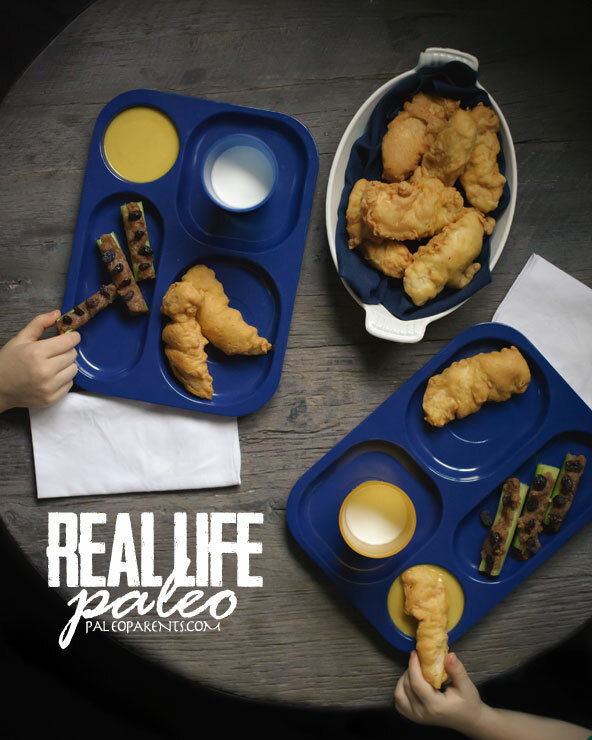 This is completely unique to this book and we are thrilled that we have been able to pull it off in order to help you see how to put balanced Paleo meals together. 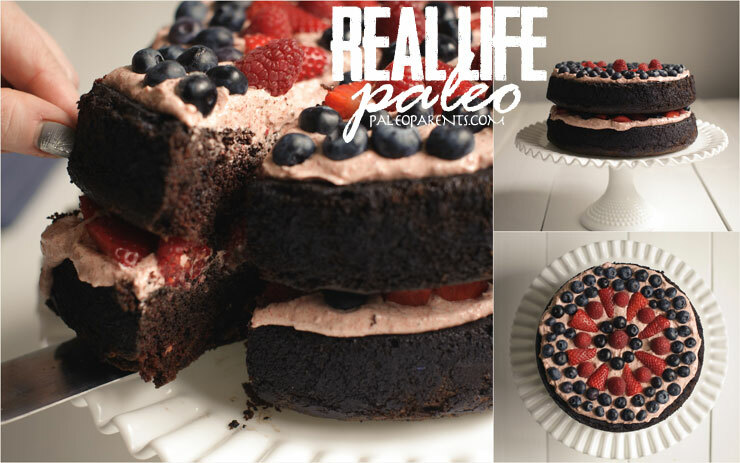 Of course, our belief is that in order to incorporate a paleo lifestyle into your lives permanently a few snack and treat recipes are appropriate to have for those special occasions so we make sure to include those (as well as those nutrient-dense superfoods we hope you’ll eventually add in the HEAL phase). Last, but not least, will be an extensive lists of visual indexes which tackle all the most-asked-for recipes: special occasion treats for birthday parties and holidays, one-pot meals, simple 5 ingredient or less meals, affordable recipes and even those which are egg-free, nut-free and nightshade free (or easily so with suggested replacement ideas). 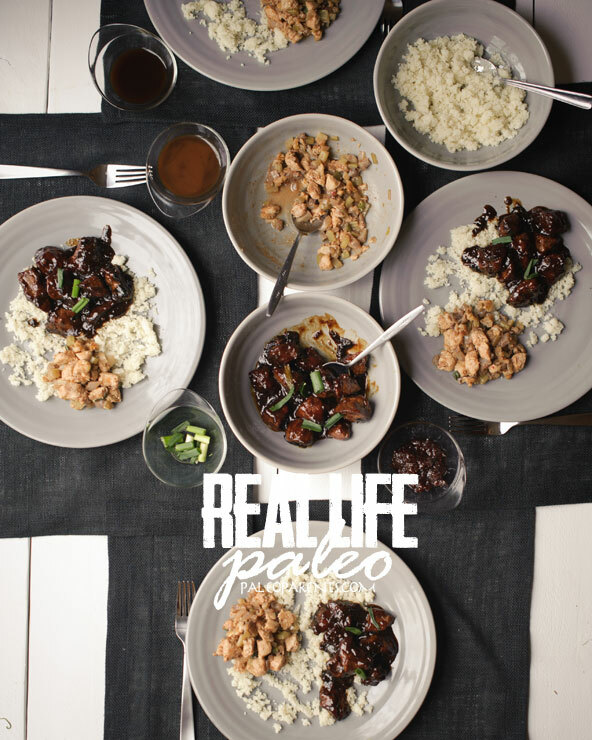 Known for our award-winning recipes, Real Life Paleo will finally put into print some of our fan favorite and award-winning recipes while also delivering an incredible amount of must-have new recipes – all of which are categorized by phase. Childhood favorites like Chicken Fingers and Ants on a Log will please everyone of all ages! With over 175 delicious recipes figuring out what to eat will never be a problem. You’ll be able to throw a Paleo party just as easily as you’ll be able to throw together dinner in one pot from the ingredients already stocked in your paleo fridge and pantry. Plus, the sections on menu plans and meal ideas help you turn individual recipes into balanced meals. 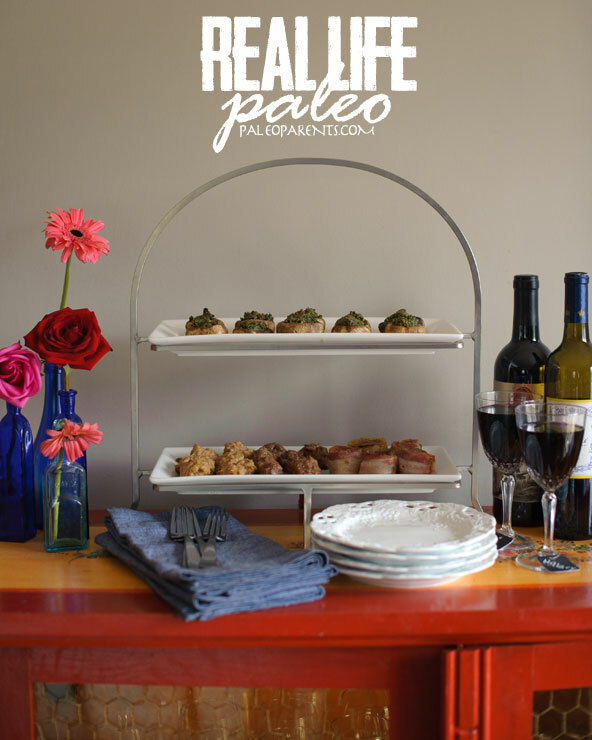 Paleo parties and potlucks will be a breeze with our appetizer menus! There are even holiday menu ideas to help you plan for special occasions and parties as well as on-the-go snack ideas, so that last-minute meal before you have to rush out the door can be a healthy one. 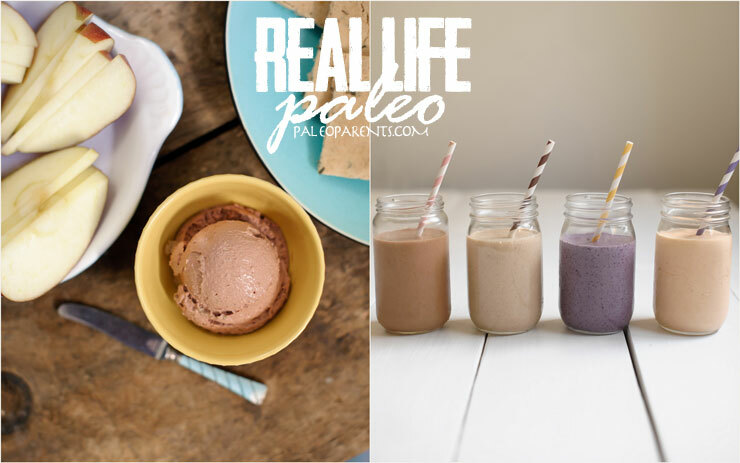 Chicken Liver Mousse and lots of quick & easy smoothie ideas!